Are you trying to save a little money when it comes to servicing your car in Warrington? Take a look at these great car service and maintenance coupons. Keep your car and wallet happy at the same time! Just print one off and bring it in today! Would you like to know how your vehicle is feeling? :) Let us help you find out! Our KIA Factory Trained technicians will perform a complete KIA Multi-Point Inspection that includes connecting to your vehicles computer. This information will allow us to understand the health of your vehicle. 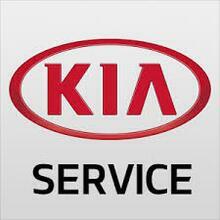 Our KIA Service Team members will review the inspection and any recommendations or needs for your vehicle. We said it! FREE... Do you have a warning light on? Let us take a look! Free analysis to include initial scan only. Kia vehicles only. Must present coupon when order is written. Cannot be combined with any other offer. Valid only in our service department at the location above. Additional diagnostic fees may apply. Void, if copied, altered, sold, or where prohibited by law. Environmental disposal fee may apply. Cash value .001¢. The pot hole season is upon us. When your car starts to pull to the side when driving, it's time to check and correct your alignment. Take advantage of the season's best pricing on alignments, right here at Gateway KIA.